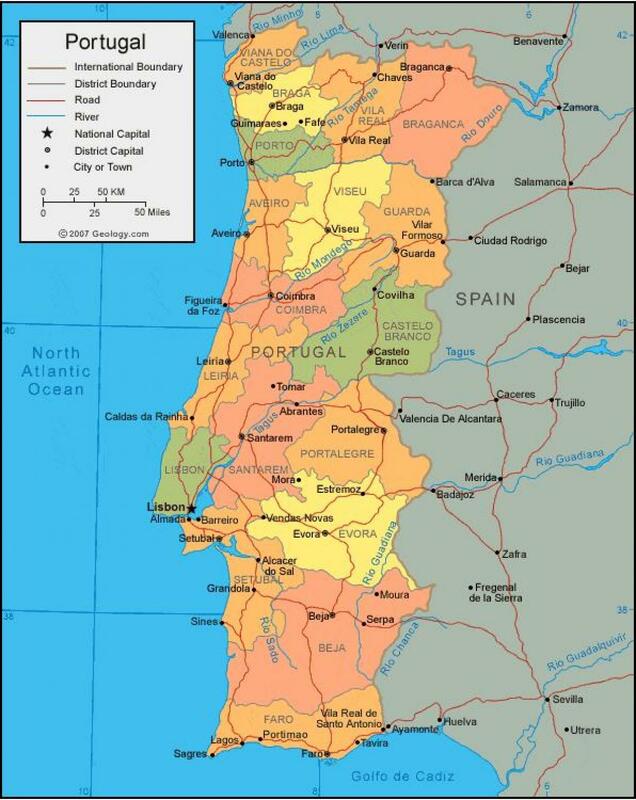 Portuguese map. Portugal on map (Southern Europe - Europe) to print. 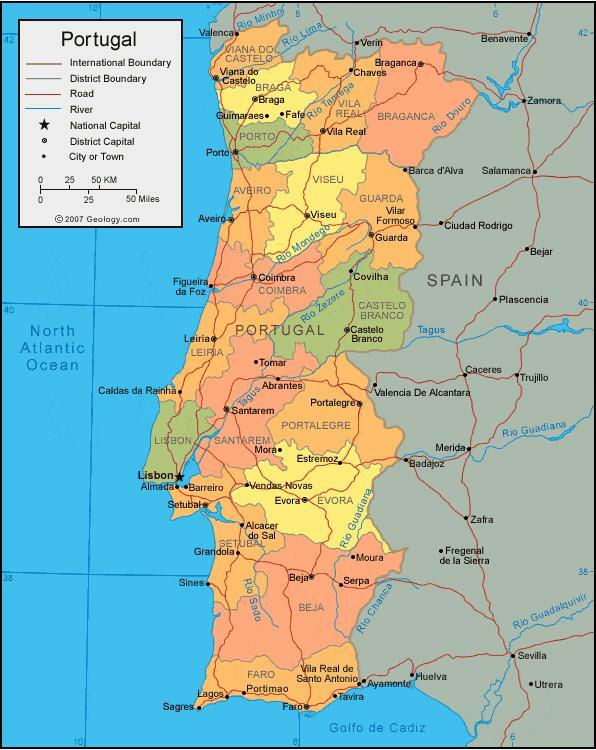 Portugal on map (Southern Europe - Europe) to download.